Choose an option and BUY NOW Select from the options below and then place your order. *Can be cut every 2.5cm. Do you require any cuts/joins? 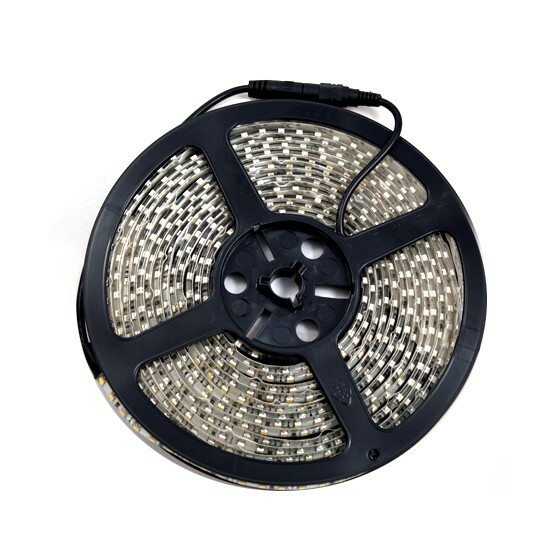 These 120 LED Single Colour 3528 Strip Lights are perfect for a wide range of applications. They can be installed on the under side of your kitchen cabinets or used anywhere in your home to create subtle and hidden lighting. An optional splashproof coating (IP65) also means they can be used in the bathroom. 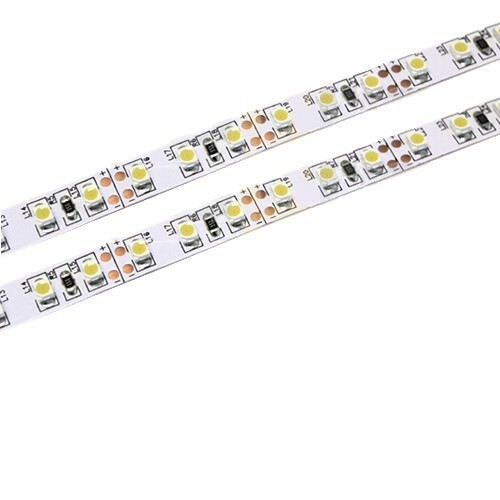 Each metre of strip features 120 small (3528) high power SMD LEDs and a high quality 3M self-adhesive backing for easy installation. As the strip only uses 9.6 watts per metre in electricity it won't cost the world to run. In addition to the strip you will also need a power supply. 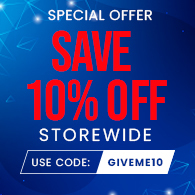 These are sold seperately and can be used to power multiple strips. We sell a range of power supplies, with or without a plug, ranging from 20 to 100 watts. 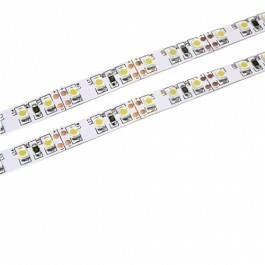 Please note: Unless otherwise stated, all LED Strip Lights will be supplied in one continuous length. For example, an order for 3 metres will be supplied as one length and not as 3 seperate 1 metre lengths. If you require cuts, let us know. Send us your measurements using the "specific requirements" box above or by contacting us directly. 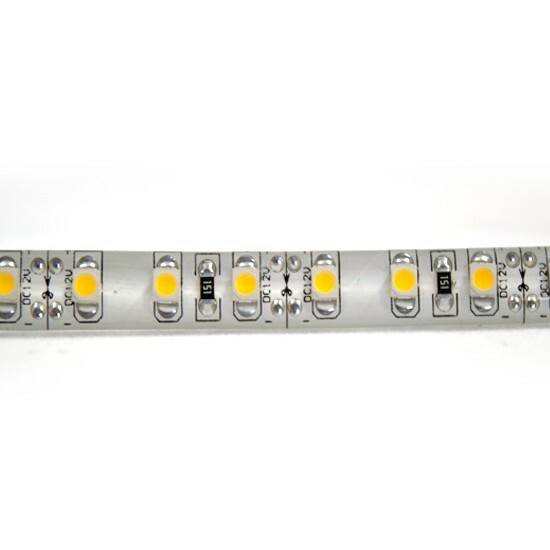 For more information about this product call 0116 321 4121 or email support@ledstriplights.co.uk.